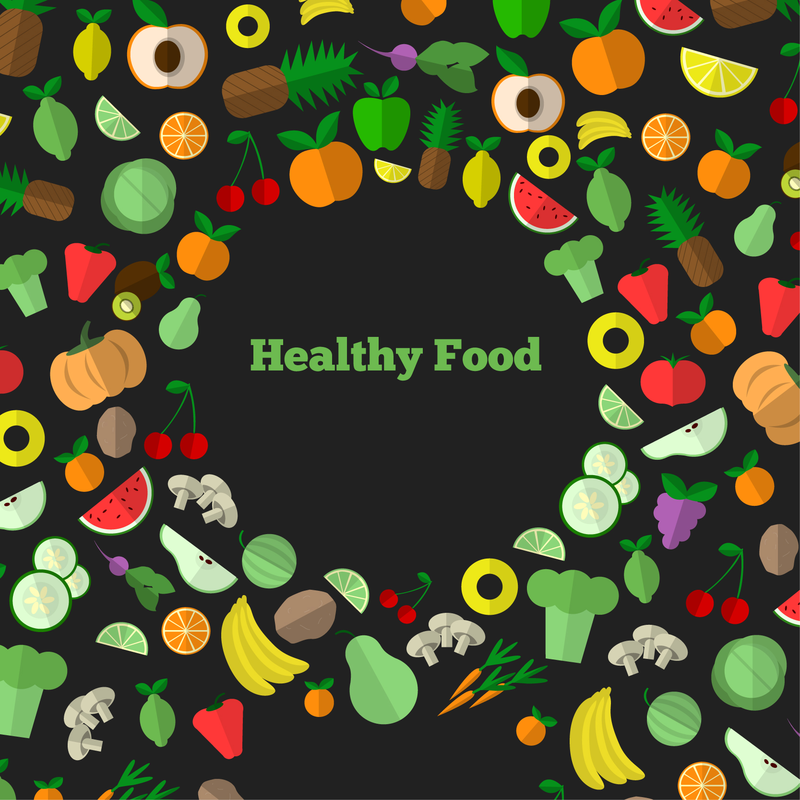 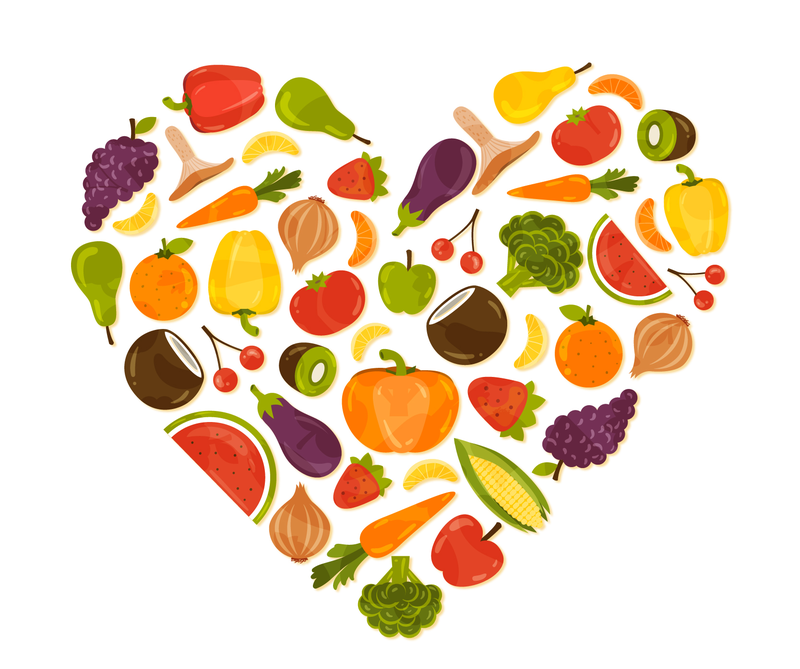 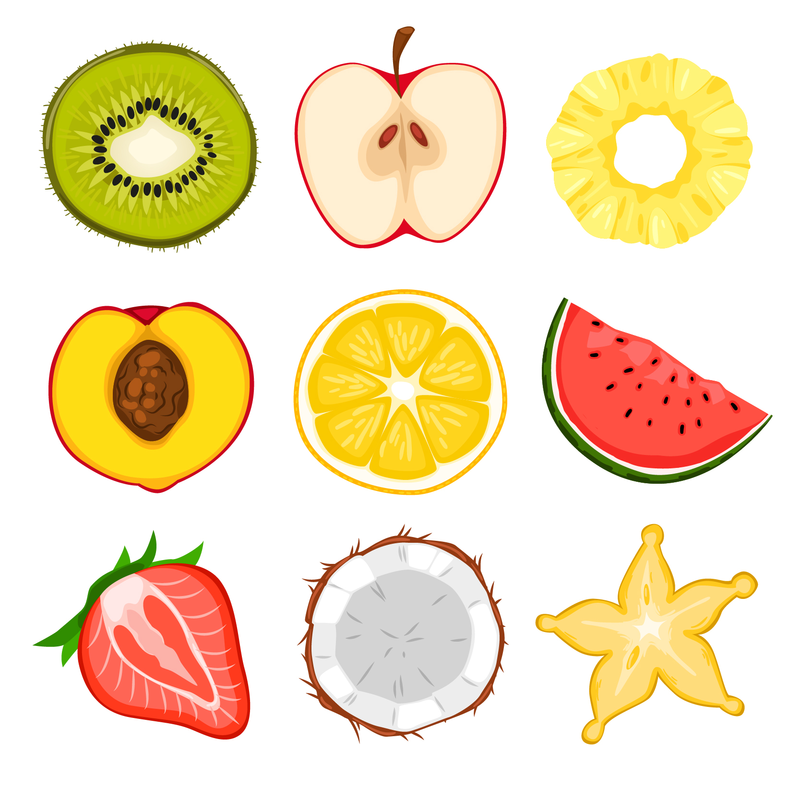 If you are setting up a website for your homemade recipes or a blog chronicling your food journey, you cannot miss these fruit and vegetable icons. 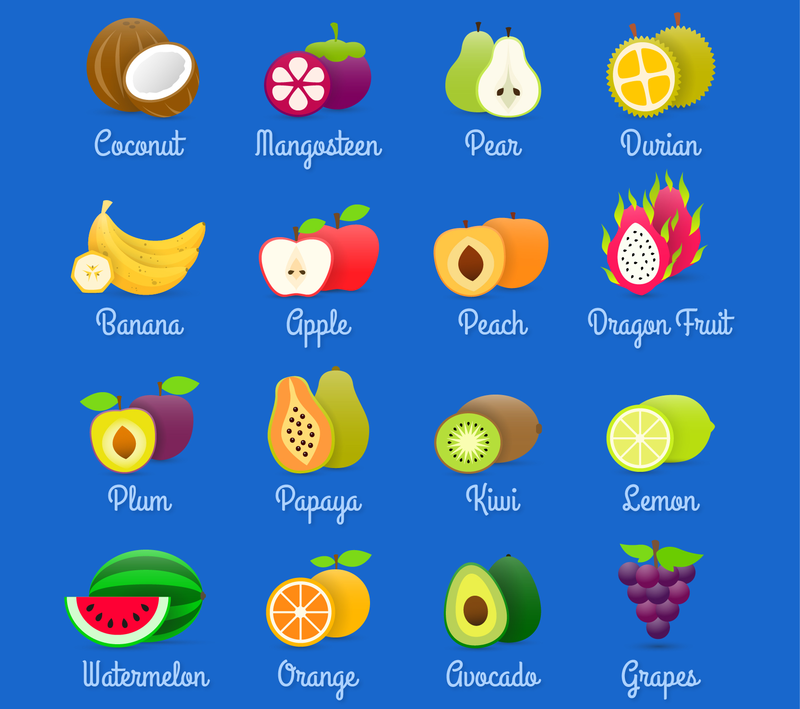 With their looks ranging from artsy to cute, these best icons are a must-have for any website that has any relation to food! 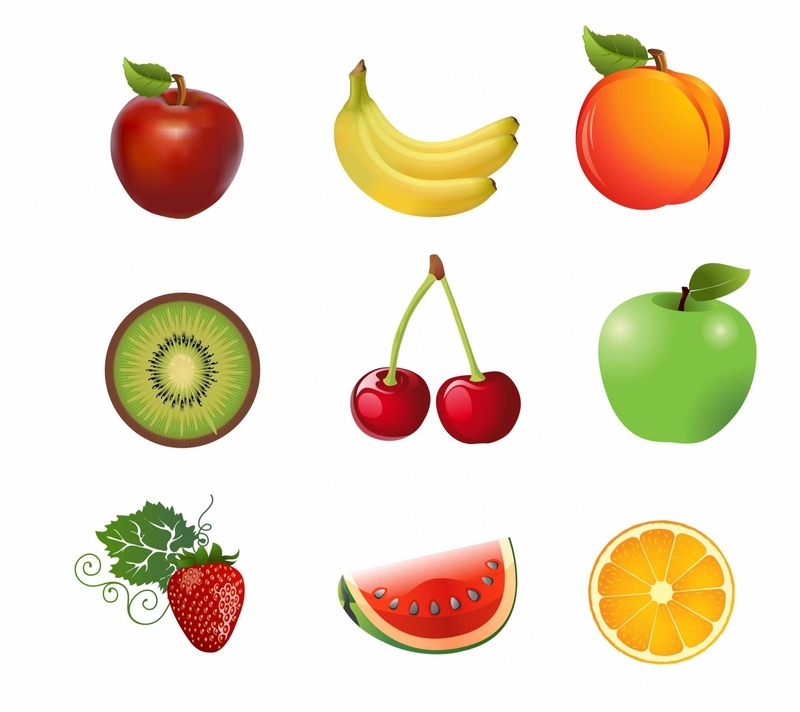 You might also be a web developer designing a web page for a nutritionist or a pediatrician – use these icons made with customizable/editable PSD vector layers to add color and complement information with images. 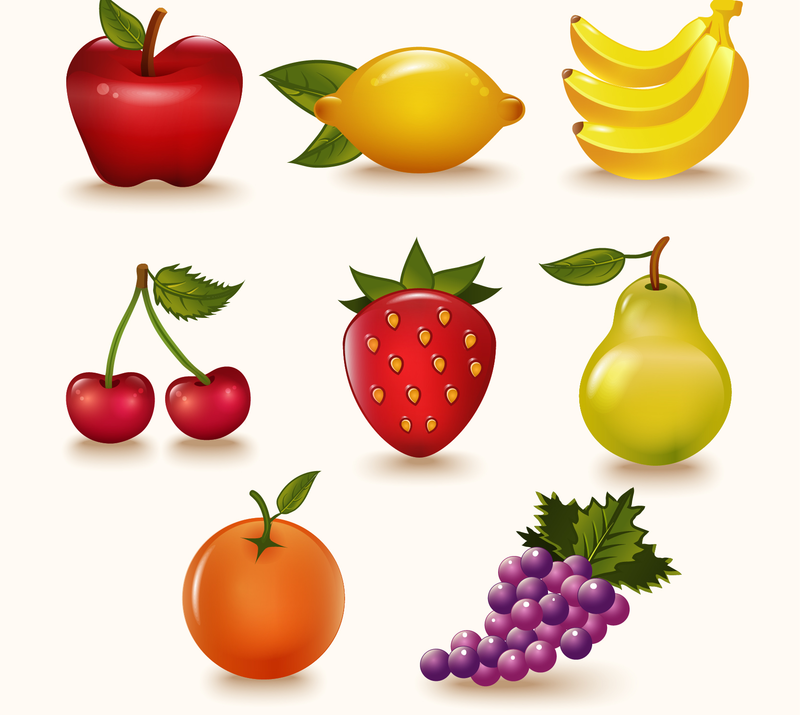 Make use of these PSD files free download for your private use. 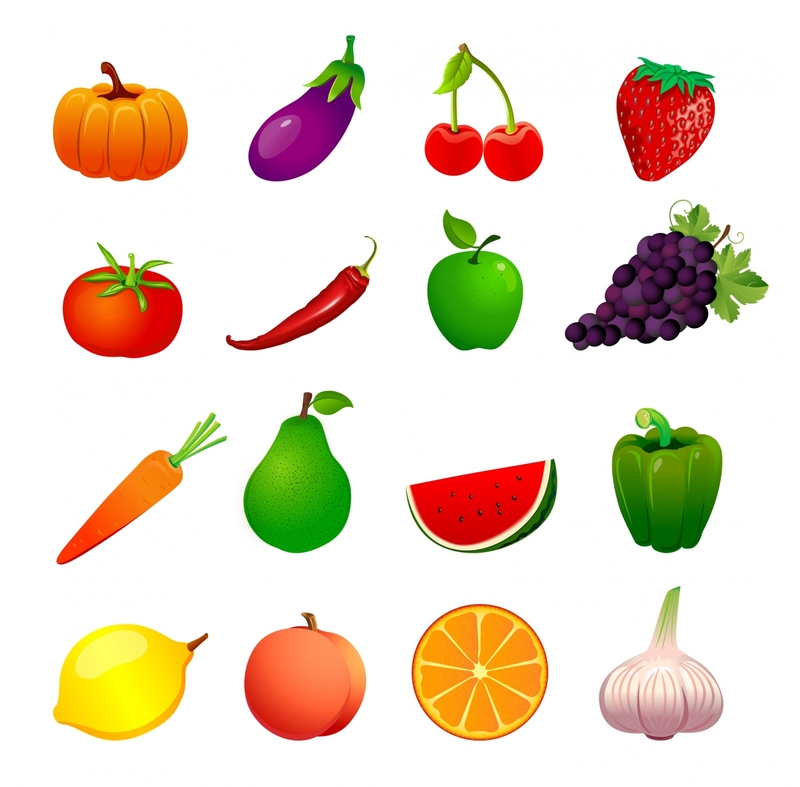 There are vegetable icon sets that include colorful Photoshop vegetable icons like pumpkins, eggplants, carrots, tomatoes, garlic, bell peppers (yellow, red and green), onions, cabbages, mushrooms, asparagus, peas, potatoes, lemons, zucchini, cucumbers, herbs, celery etc. 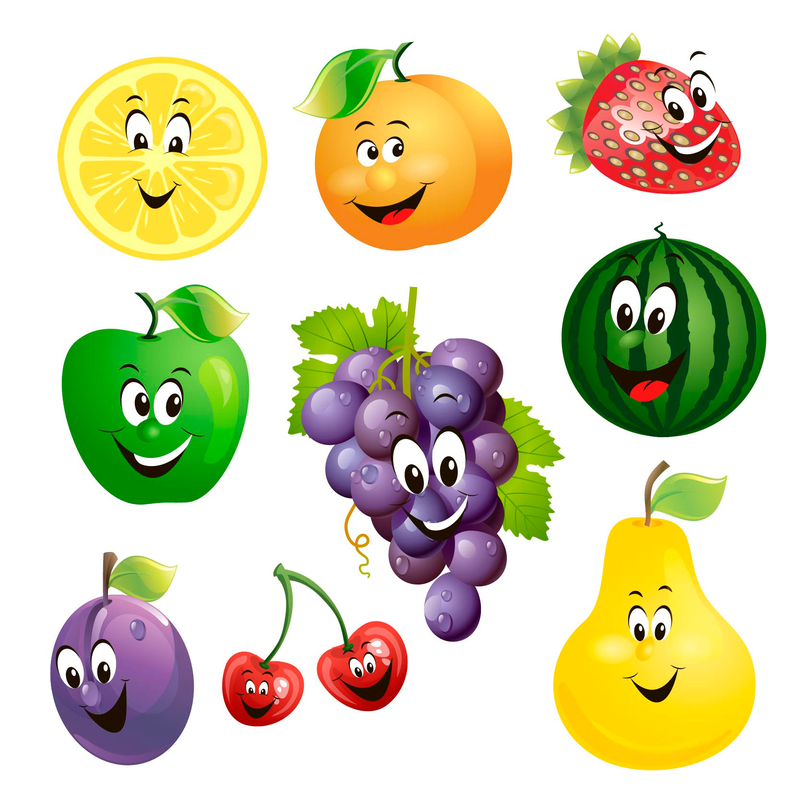 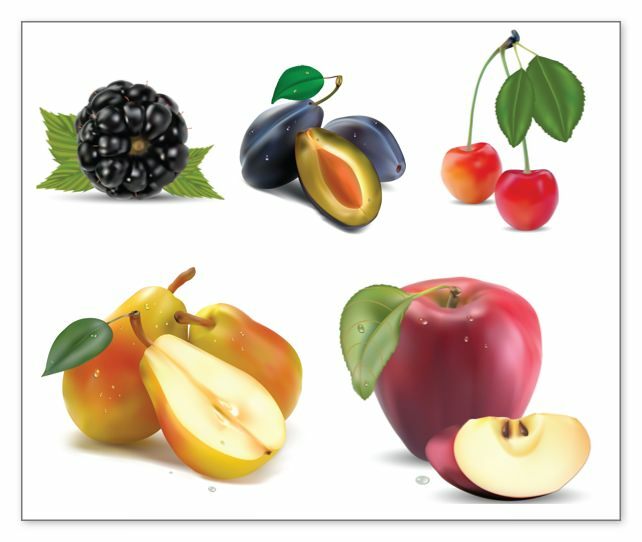 You can also choose the luscious fruit vector icons that include illustrations of all kinds of fruits that are known to us – for example, apples, bananas, melons, watermelons, mangoes, raspberries, strawberries, blackberries, blueberries, grapes, cherries, pears, oranges, peaches, pomegranates, guavas, kiwi-fruits, etc. 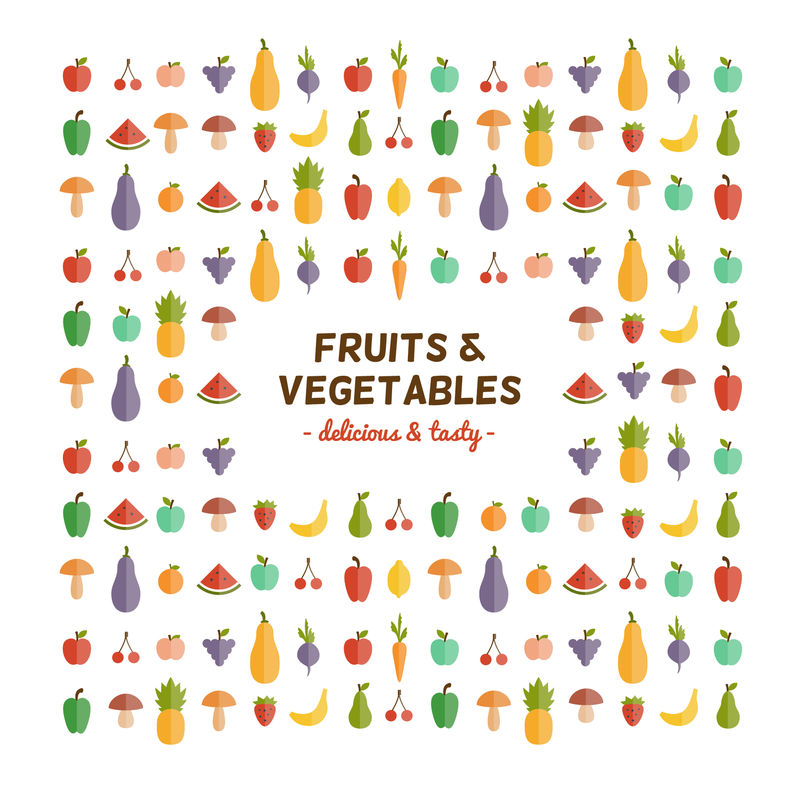 Download the vegetable and fruit designs to add color and fun to diet charts. 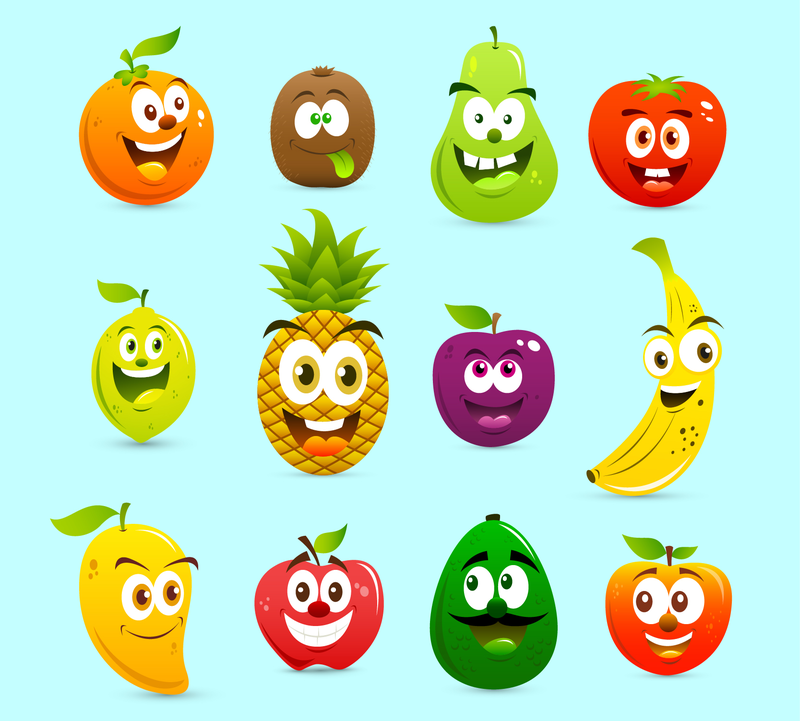 The vegetable icon graphic designs can be used to emphasize the importance of eating vegetables to children. 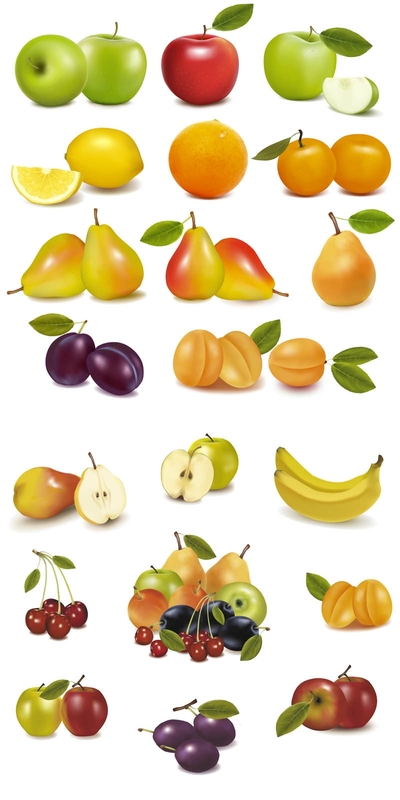 The fruit illustrations can be used to fun up any web page with a dose of culinary cuteness!